If like me, you have also been waiting for it, you will be pleased to hear than Shadow Fight 3 finally has a release date! It has been set for the 16th of November 2017; both the iOS and Android stores will be served. Do note that yet another trailer was revealed to announce the date. It again showcases the amazing graphics that have been used for this action game, you cannot miss it! Stay tuned for more details and feel free to express yourself in the comments section! Folks with an iOS smartphone or tablet will soon get to download something very special! It’s called Morphite and it’s coming from Crecent Moon Games and a fantastic team of associates. The app was recently announced and it will be delivered alongside several console ports by the 7th of September. Right now, we know that players can expect a space-themed adventure, cool graphics and an original storyline. More is to be revealed soon and you can keep an eye on this page for updates. Here is the trailer for a glimpse of the action! As smartphone or tablet users, you must have tried platform gaming on your devices! Characters seen in-game are all very brave-looking, tough and agile. However, things have changed with Eggroll! The latter is the latest from Joseph Grosso and it’s on the App Store for free. As you must have guessed, the gameplay is all about controlling an egg! It will be seen rolling, jumping (even if has no legs) and flying (without wings); feats that will certainly blow you away! The trailer posted below will give you a glimpse of the action! 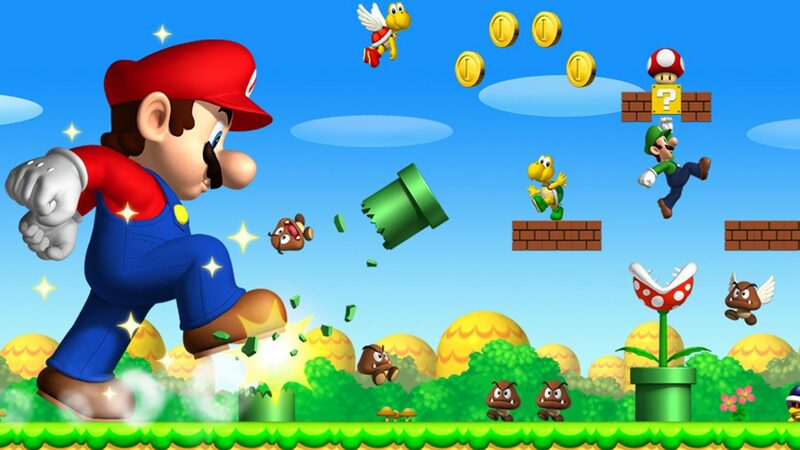 There is no stopping for the platformer genre and if there is a game that keeps inspiring developers around the globe it will have to be the one and only, Super Mario! The latter’s influence on this particular genre is undeniable, and in 2017 we will get to witness the advent of several titles that are set to be as awesome as the original. We will look into a recently released app in this piece, read on! Plumbers, foxes, hedgehogs and all sorts of other characters have already been used as the main character. However, in Pauli’s Adventure Island, a rabbit will take the lead! The latter will be seen within a 2D world; its goal will be to survive as you control it across perilous tracks. Classic mechanics and bright graphics have also been used to boost things up. Do note that a second character in the name of Gemmi will also be available in-game; by choosing any of them, you will set off to look for the boss and obviously defeat him. Simple controls, a smooth-running gameplay and over 30 levels will be on offer without having to spend a penny. Sounds like a deal to me! This free 2D side-scrolling adventure platformer can presently be seen on both the App Store and Google Play; with in-app purchases and ads to finance the whole thing. To get a better idea of what’s on offer, do take a few seconds to watch the trailer posted below. Once tested, it will be great if you could share your thoughts in the comments section! Neo Angle will take you back in time! If neon and 80s synth music is something that you like, you will definitely be excited to hear about Neo Angle! The latter is a brand-new game and it will be released on the 3rd of August. When it comes to the gameplay, it will be all about guiding the main character through cool-looking mazes. Puzzles will also have to be solved on the way. Also note that hand-crafted levels and cool mechanics will all contribute to make this mobile experience a unique one. Look out for it! The team at 1Button has just announced its intention release a new version of Mr Jump! It will be a simpler and smoother game and unlike its predecessor, it will allow more players to pass through the higher levels. The app can be expected by the 20th of July; it will target both the iOS and Android stores. Also note that Mr Jump S will be free-to-play with ads to finance it all. The newly released demo will give you a hint of what to expect! The latest game from Wargaming is going to target mobile platforms exclusively. It will be all about sinking battleships and it is presently seen on the App Store. The game is called World of Warships Blitz and it’s a free-to-play for iOS exclusively. We can expect the developer to reveal the global release date anytime from now and it will hence be wise to keep an eye on this page. In the meantime, remember to check the trailer out; it will certainly put you in the mood for some crazy shooting action!